Gov. Inslee says 6 Hanford nuclear tanks leaking. The Trump administration’s commitment to coal is under its stiffest test yet after an Ohio energy company made a plea to favor that power source over its many rivals, including oil and natural gas, in a clash that could end with higher costs for consumers. 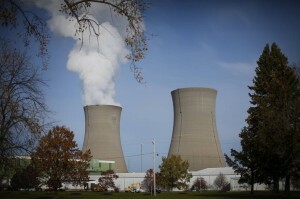 FirstEnergy Corp.’s fleet of coal- and nuclear-power plants filed for bankruptcy over the weekend, just days after the company asked the federal government for an emergency declaration that would keep many of them open. That forces President Donald Trump’s Energy Department into a decision on whether to intervene under a lightly used, 83-year-old law and compel the nation’s largest electric-grid operator to dispatch power from FirstEnergy’s coal and nuclear plants effectively before any other. Mr. Trump has been one of the coal industry’s biggest boosters, campaigning on reviving a downtrodden industry, and his administration has voiced support for nuclear, too. Both of those fuels are facing tough competition as alternatives—including natural gas, and wind and solar power—have become cheap and more plentiful. Uranium plays a vital role in maintaining America’s national security. The element powers nearly a quarter of the U.S. Navy’s fleet and keeps the lights on in around 20% of American homes and businesses. So why is the U.S. relying on adversaries to supply it with uranium? The American West—including my home state of Wyoming—is rich in uranium. In 2016, commercial nuclear power plants purchased 50.6 million pounds of uranium, according to the Energy Information Administration. The U.S. could produce tens of millions of pounds a year, relying on friendly countries like Canada or Australia for the remainder. Yet the element often comes from nations like Russia, Kazakhstan and Uzbekistan. Together, the three supply around 40% of America’s commercial nuclear fuel. Making matters worse, America’s only plant capable of preparing natural uranium for enrichment was idled last year. 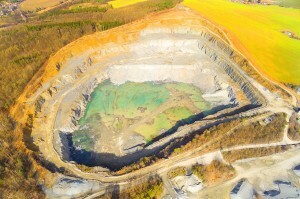 All uranium mined in the U.S. must now leave the country for processing in places like France and Canada. Then it is reimported for use in domestic nuclear power plants. The federal government has made the situation worse. Since the 1990s, the Energy Department has maintained a stockpile of uranium from decommissioned nuclear weapons. For the past decade, the agency has actually bartered uranium away in exchange for services from contractors. The contractors then sell the uranium. If the department sold its uranium directly, the funds would go to the U.S. Treasury, not to the agency’s coffers. This bartering scheme effectively circumvents Congress’s power of the purse, which is why the Government Accountability Office called it illegal in 2006 and 2011. The department kept doing it anyway. This is happening while the U.S. is producing uranium at the lowest levels since the early 1950s. None of that matters to Washington. Each year since 2011, Energy has bartered away more uranium than the U.S. has produced.